DP Kaufman : Fear and Curiosity. Ambient, melodic electronica meets neo-classical. 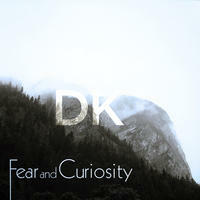 With "Fear and Curiosity", Kaufman dives into a lush, layered post-rock sound. He draws from his previous work in electronic and orchestral production, but the soundscapes take on an entirely new character. Sweeping washed-out guitars and unorthodox rhythmic elements create a delicate balance between simmering intensity and subdued ambience. Complex sonic architecture carries the simple soaring melodies into an otherworldly space. License Ambient, melodic electronica meets neo-classical by DP Kaufman for your project. Play the music of DP Kaufman in your restaurant or store.